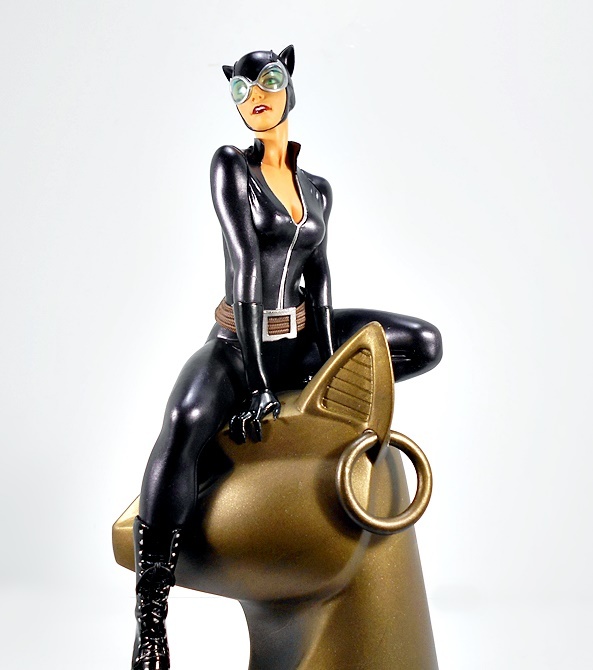 If you’re keeping track, I last visited with DC Gallery, Diamond’s plucky line of comic-based statues, back in September with JLU Hawkgirl and I was disappointed. 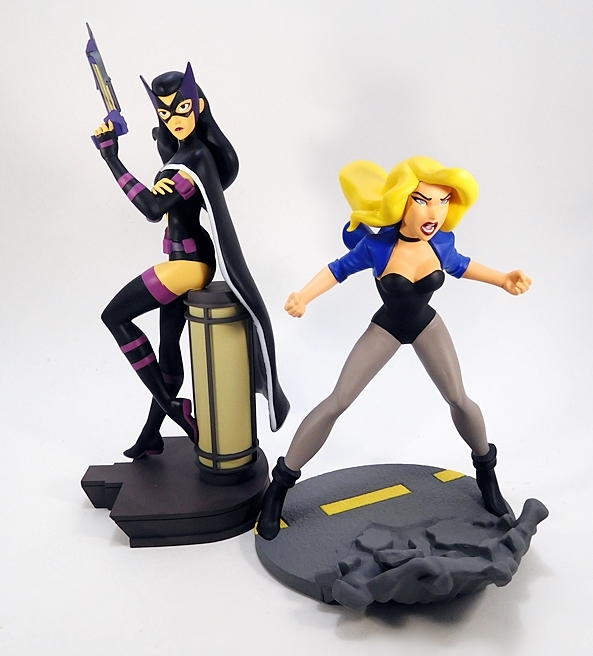 But before that Black Canary and Zatanna blew me away. Will today be the day that the DC Gallery restores its good name? 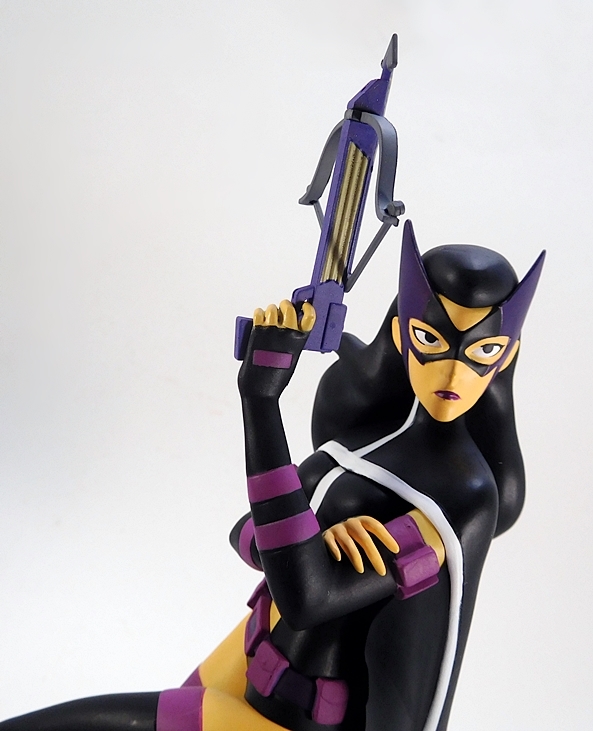 Let’s find out and open up Helena Bertinelli based on her appearance as The Huntress in the Justice League Unlimited cartoon. 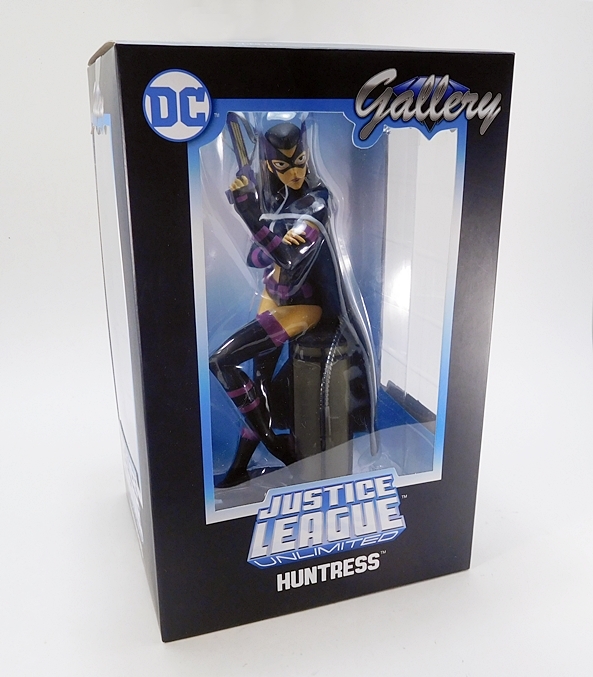 The DC (and Marvel) Gallery statues evolved from DST’s old Femme Fatales line, and the packaging hasn’t changed much since those days. But hey, if it ain’t broke, don’t fix it. You get a collector friendly window box with windows on the front, top, and both side panels. This offers a great opportunity to scrutinize the piece you’re buying, assuming you actually get them at a brick-and-mortar shop. The back panel features a blurb about the character and you get a nice JLU logo on the front. 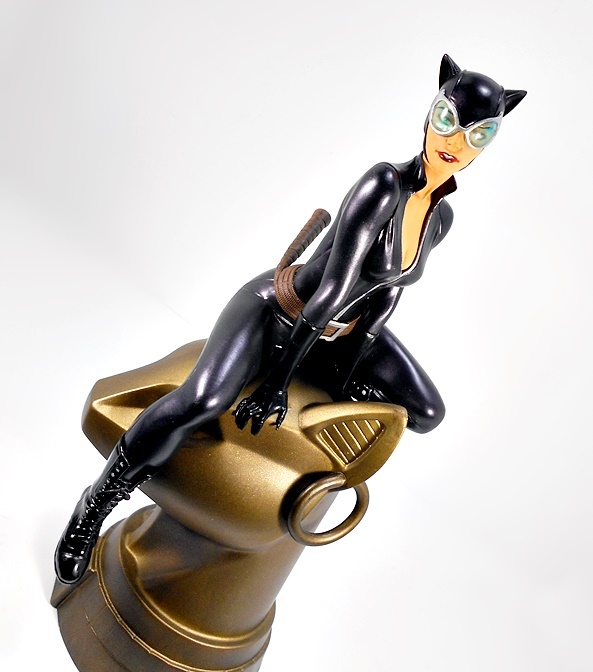 The statue comes encased in a plastic tray and there’s no assembly required. 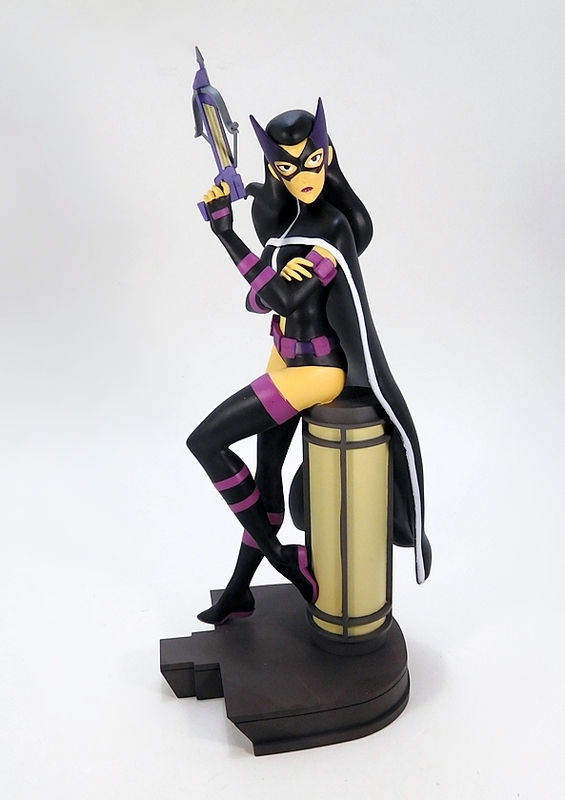 DST has managed to do some pretty fun poses with these statues, and The Huntress here is no exception. 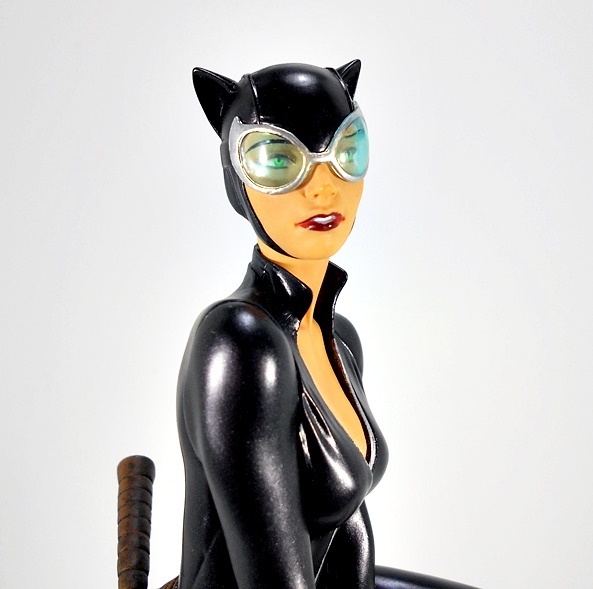 She’s staged sitting on the edge of a cylindrical light fixture with one knee drawn up. Her right hand crosses her chest and wrests on her left arm, which in turn is raised with her signature crossbow at the ready. She turns slightly, waiting for her prey to arrive, and clearly she means business. The composition here is a nice compromise between a staged cover-style pose, while still offering a whiff of action. I love it! 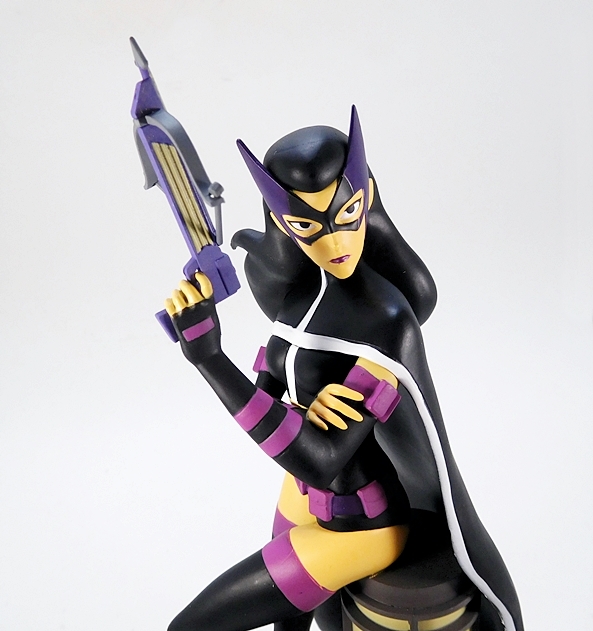 There’s more than the usual amount of sculpting invested in Huntress’ costume. 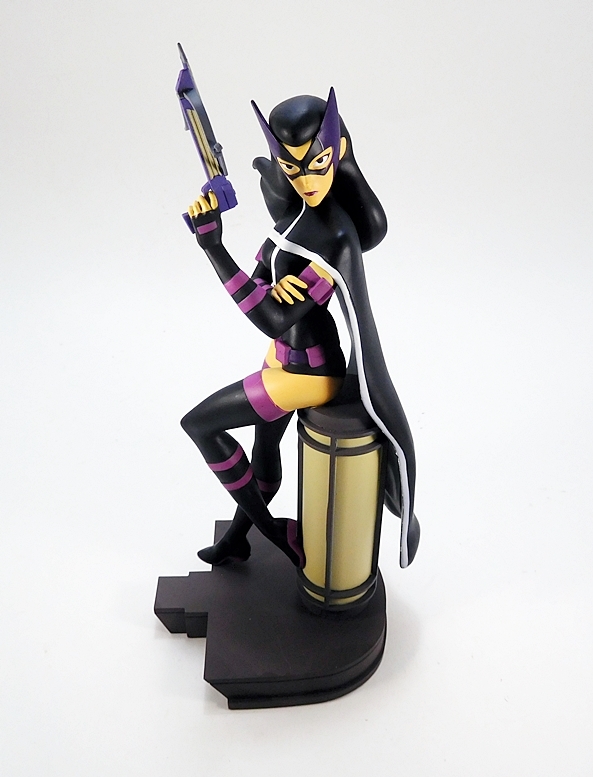 Because of the simple nature of the source art, these animated statues don’t always offer a lot of opportunity for sculpted detail, but there’s a lot going on with this one. 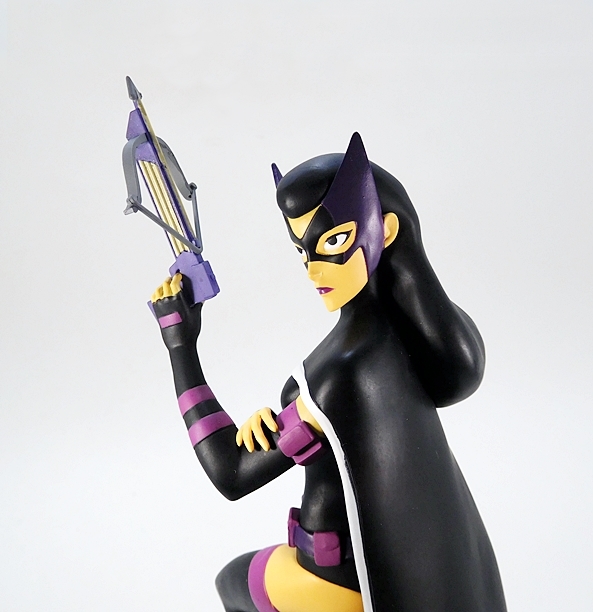 Indeed every detail, from the purple bands on her boots and gloves, to the tummy-exposing cut out, to the white stripes on her cape, is incorporated as part of the sculpt. 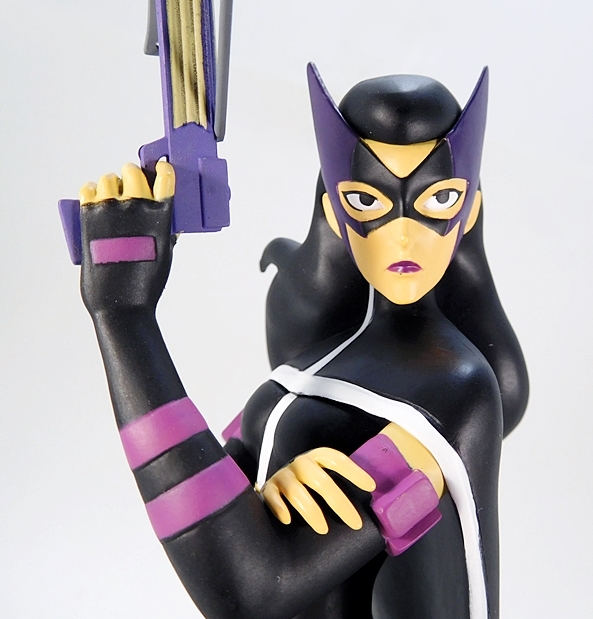 She also features pouches on her belt and arm bands, and a holster for her crossbow. The crossbow is cocked and ready to go. Even the shoulder-hugging cape falls naturally and looks great. 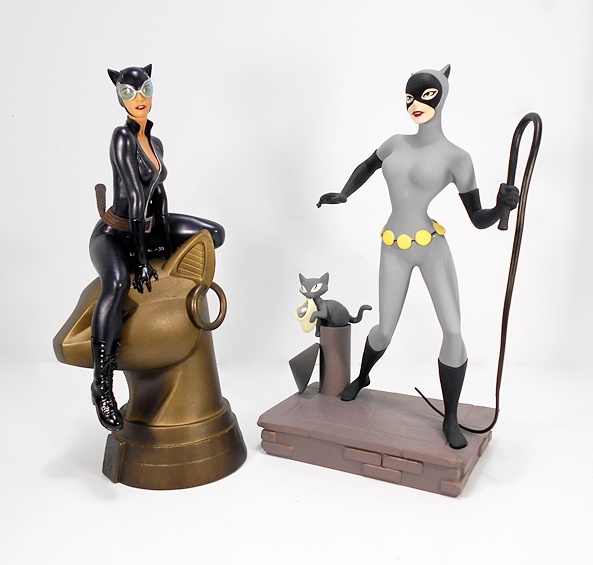 It’s the paint that has been an issue on a few of my DST statues. It was particularly bad on their Lady Deadpool and not so hot on their Hawkgirl. 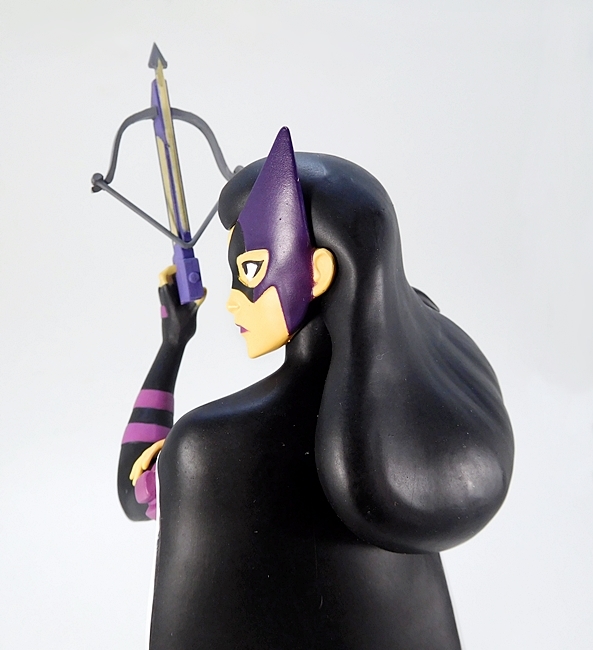 Fortunately, The Huntress is here to set things right again. The quality of application here is fantastic. 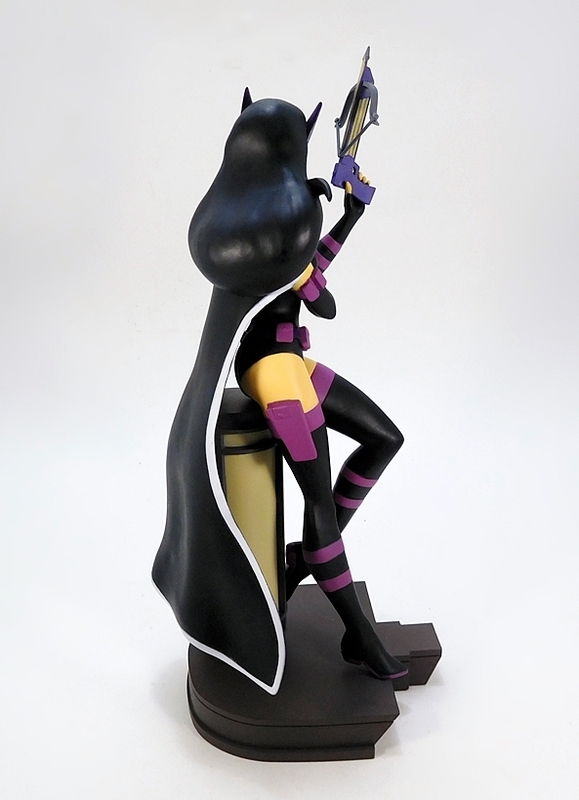 The lines that separate her boots from her skin could have been a tad sharper, there’s a tiny bit of slop where she makes contact with the light fixture, but I only point those out because I’m really looking for something to complain about. One of the pitfalls of some of these pieces has been scratching and rubbing showing up on large, featureless surfaces that are painted gray or black. I’m happy to say that’s not the case here. If I had to nitpick anything else, I’d say the face is a little too triangular. When I compare it to the cartoon, I think it tapers too sharply toward the chin to be one hundred percent faithful to her look on the show. 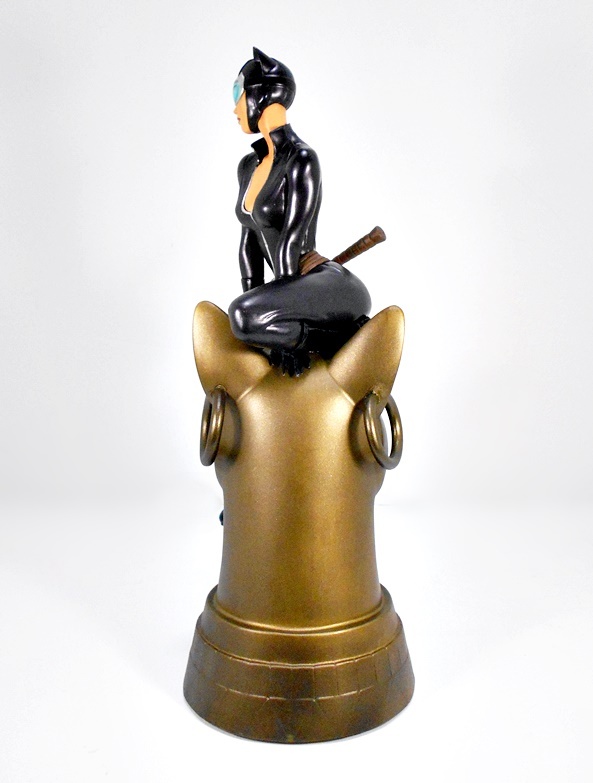 At the same time, it’s not bad at all, I’m just saying they didn’t nail it quite as perfectly as they did with Zatanna or Wonder Woman. 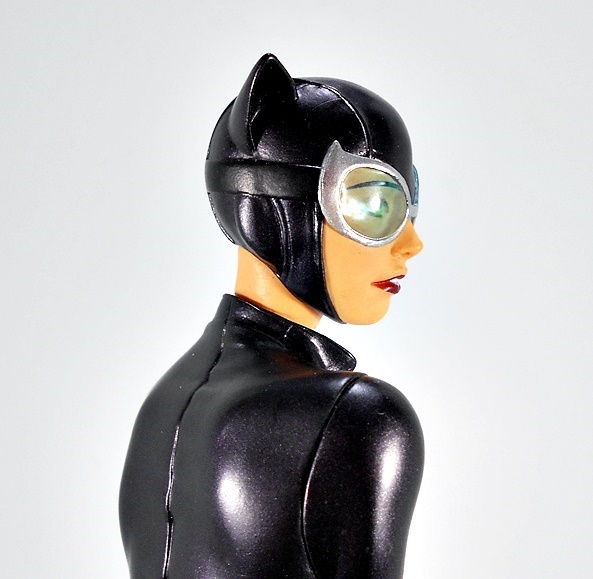 With that having been said, the mask and the hair both look great, and the facial features are painted with the same care as the rest of the statue. As usual, our last stop is the base and what we have here is certainly functional and well executed. I’m just not really sure what it’s supposed to be. 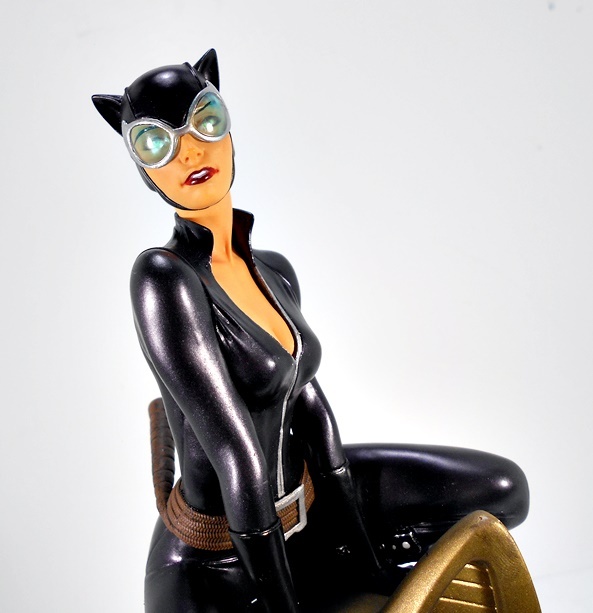 I know she’s sitting on a light, but it’s not like any light I recall seeing. I’m guessing it’s supposed to be on a rooftop. 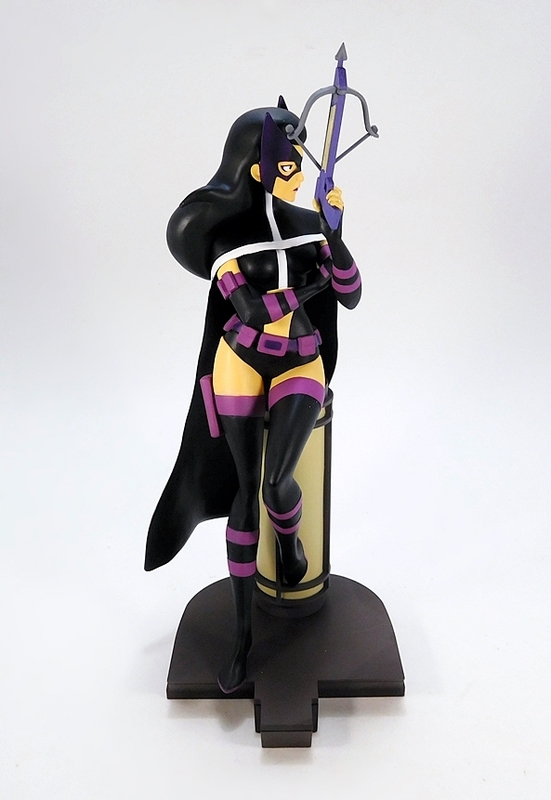 And so, The Huntress takes her rightful place alongside Black Canary and Zatanna as another shining example of how great this line can be when it’s firing on all cylinders. 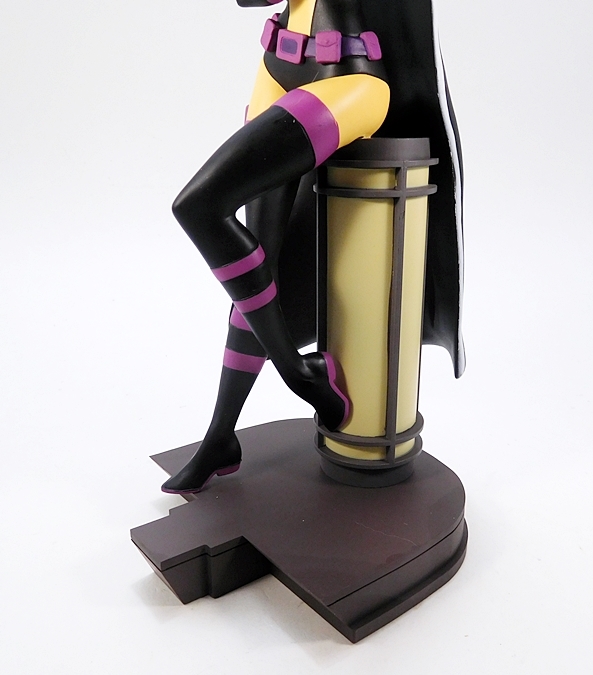 The three cornerstones of any statue will always be the pose, the sculpt, and the paint, and this lady hits them all with style. 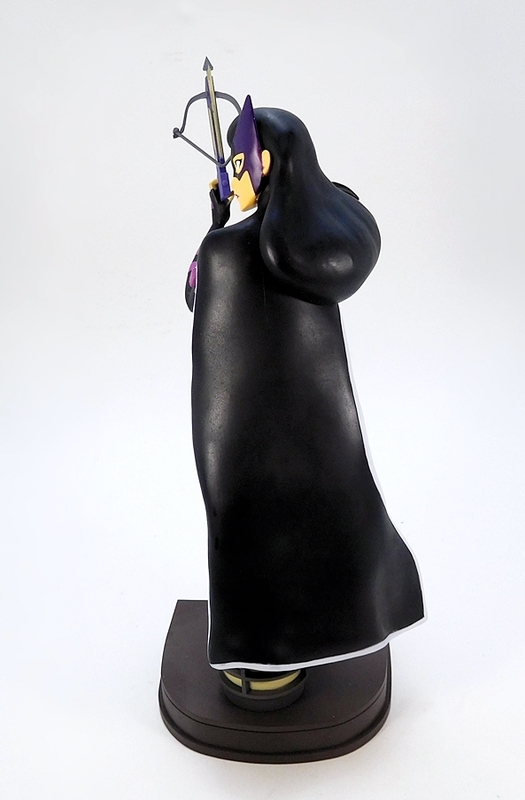 Indeed, at about forty bucks, I’m surprised at seeing this level of quality in what is essentially a budget line. 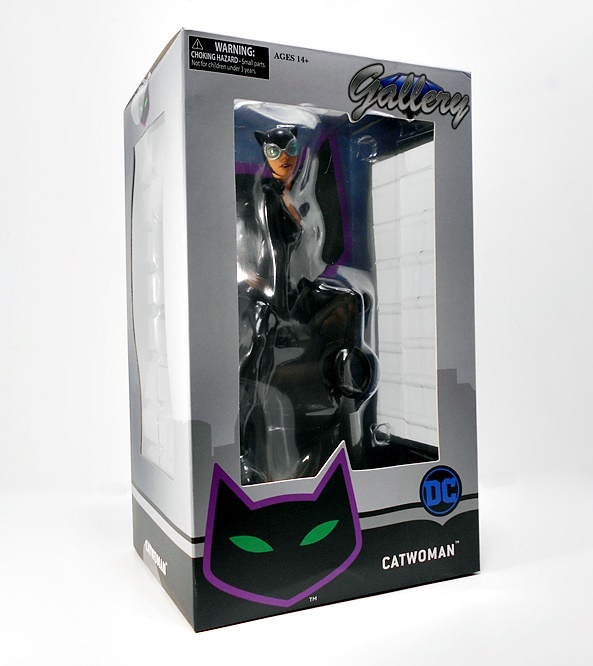 If you want some nice representation of these characters, and don’t have a lot of money to blow, DC Gallery remains an excellent alternative to the more expensive DC Collectibles stuff.